Ahoy there! Did ye think Fairyland were full o’ nothing but lovely things?! Pirates do dwell there too. So ye’d best be on yer guard, hadn’t ye?! 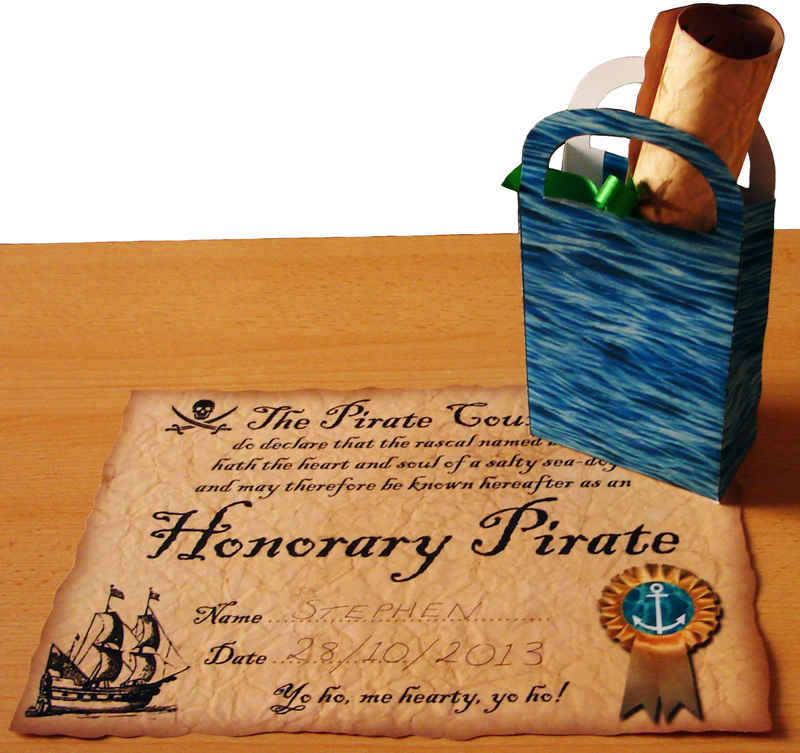 Be sure to check out our pirate certificates. 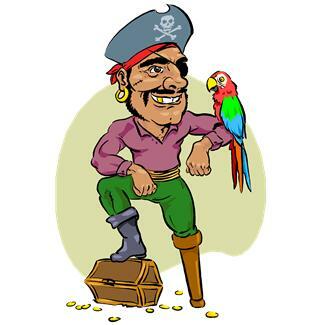 They be our most popular pirate resource at the moment… so if ye’ve a junior pirate in your midst, why not nail one to their cabin wall?! New: If you’re having a pirate party, you should take a look at our pirate cupcake wrappers, they’re lots of fun and easy to make, so you can get the kids to help you. Oh, and we’ve got a pirates party invitation you can print too. 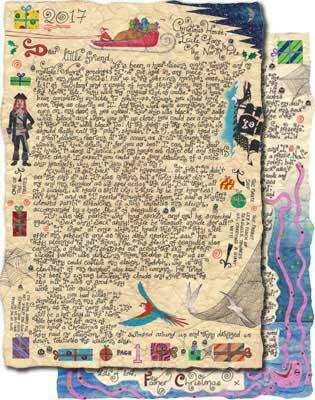 If your little one is pirate-crazy, you might also want to think about printing our pirate-themed letter from Father Christmas. It’s a rip-roaring adventure for Santa’s sleigh as he flies over the high seas – a great Christmas extra to read on Xmas Day.